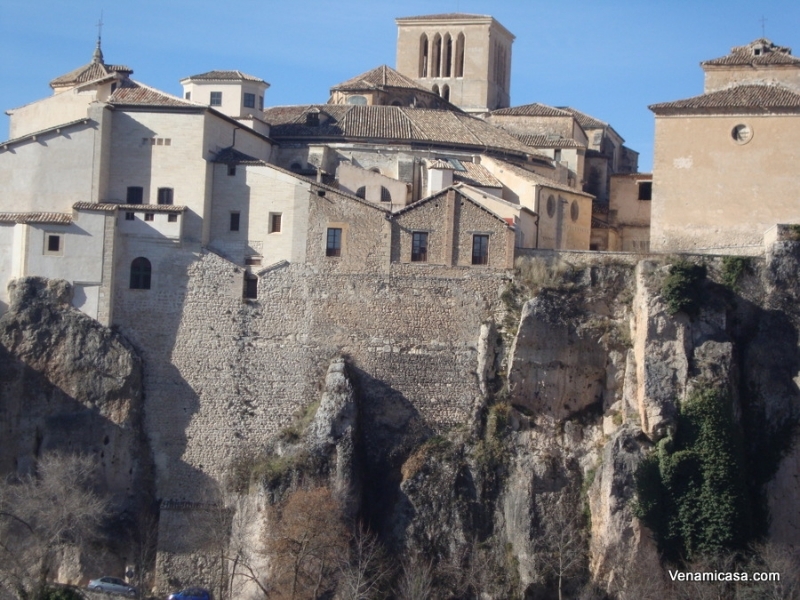 HISTORIC WALLED TOWN OF CUENCA. 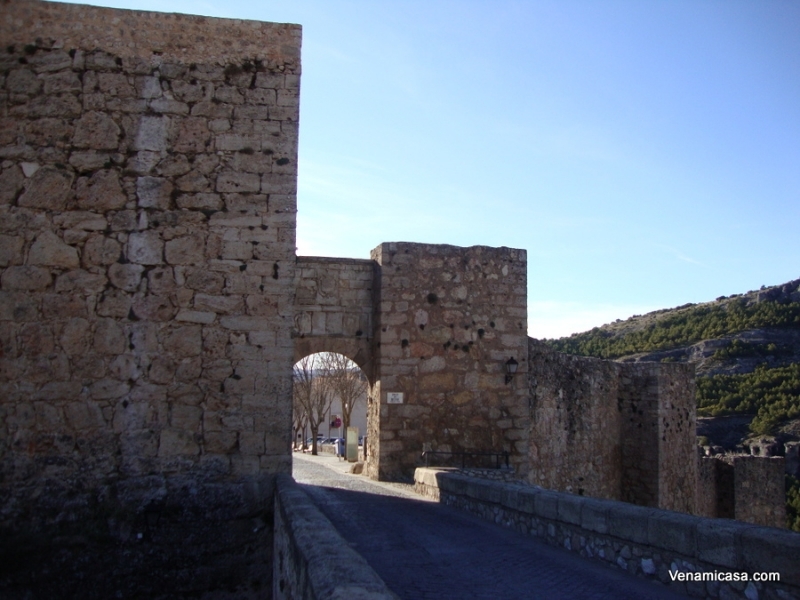 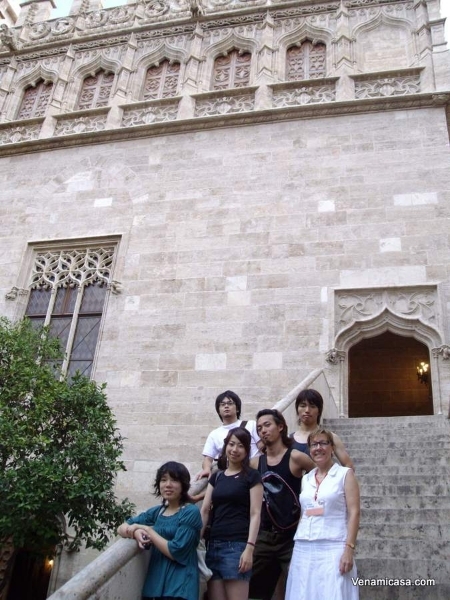 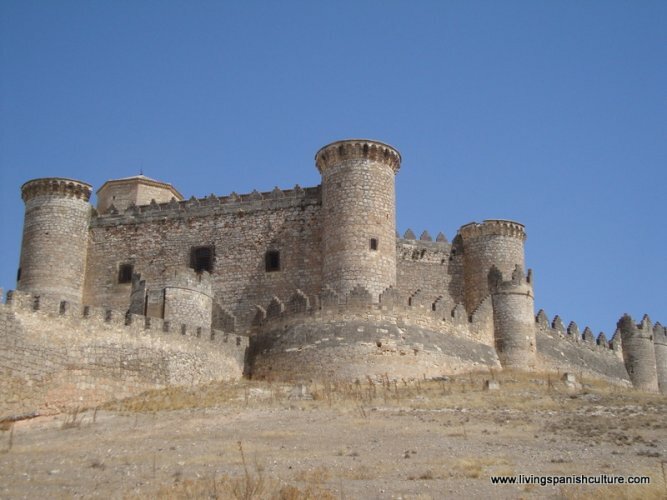 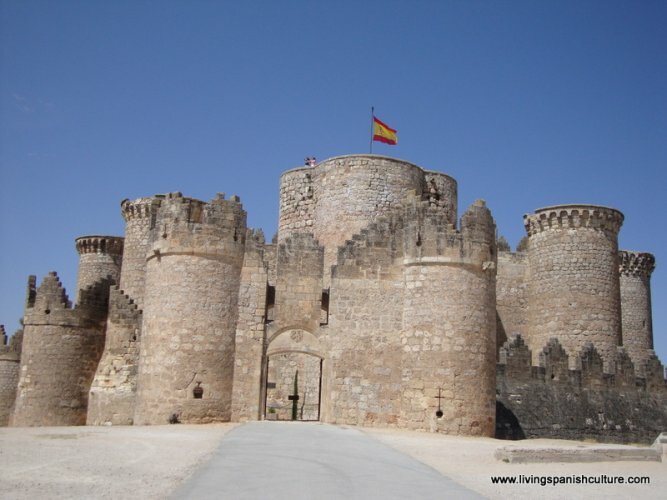 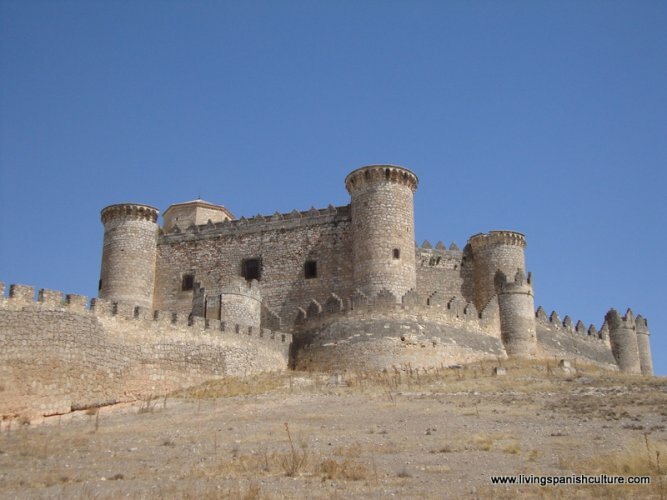 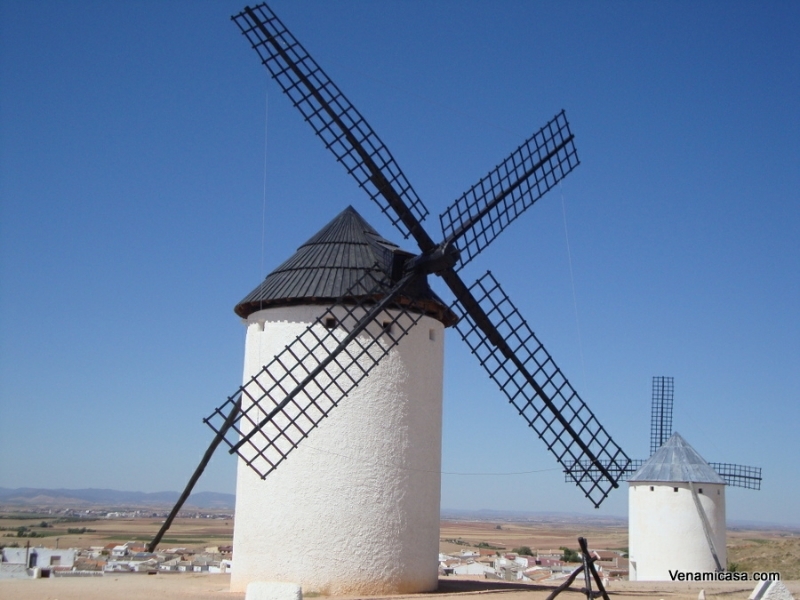 (only 45 minutes from Valencia by High Speed Train). 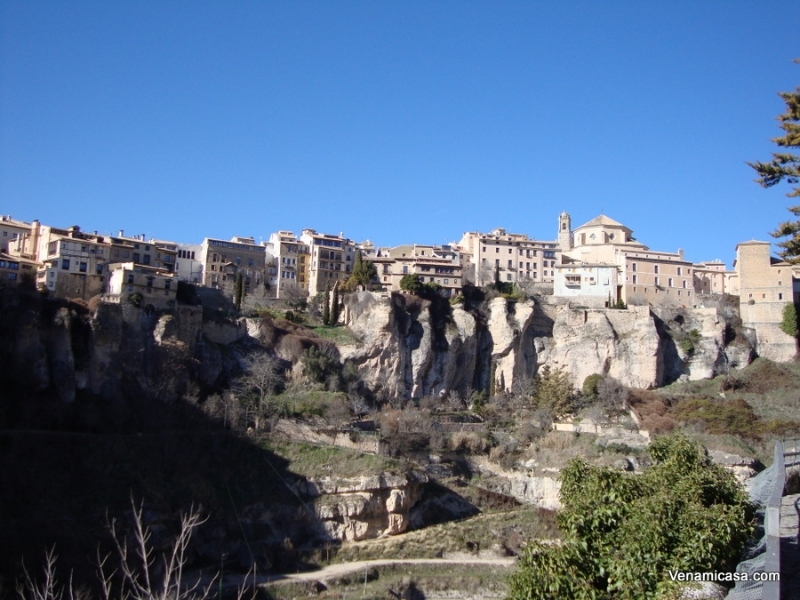 Cuenca is located about 140 km. 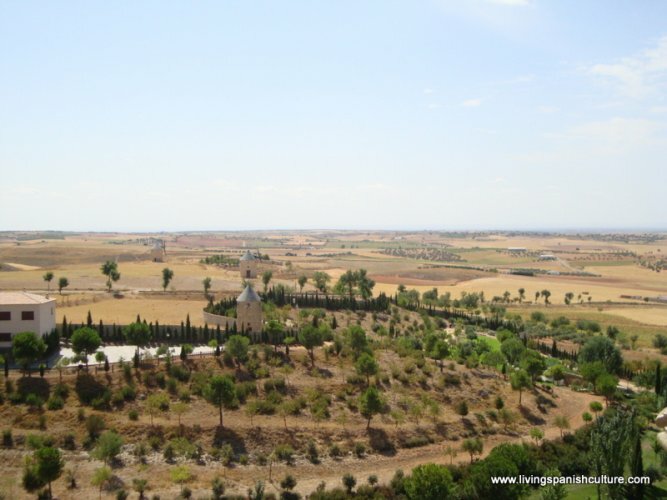 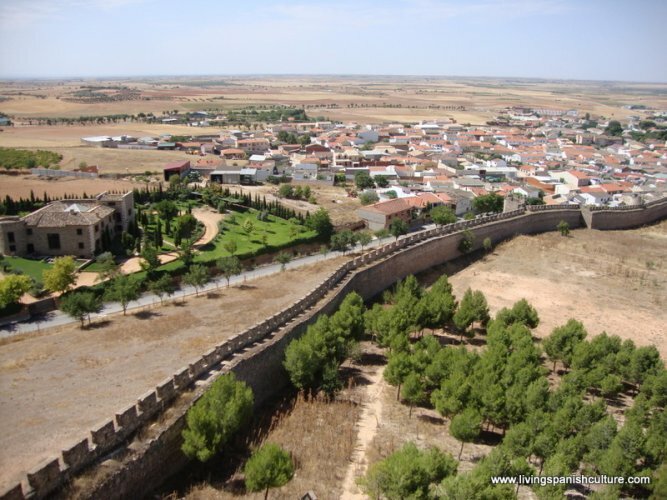 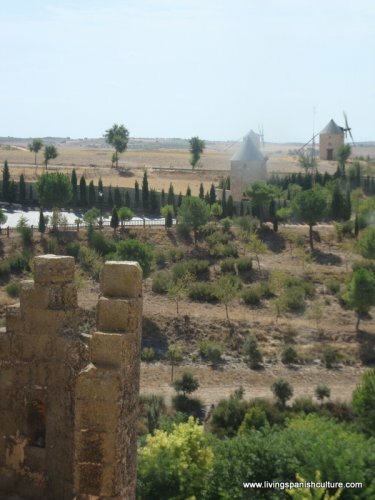 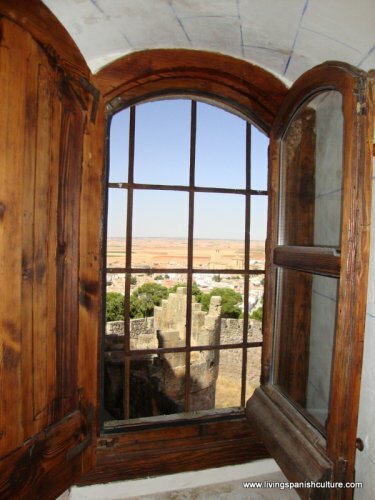 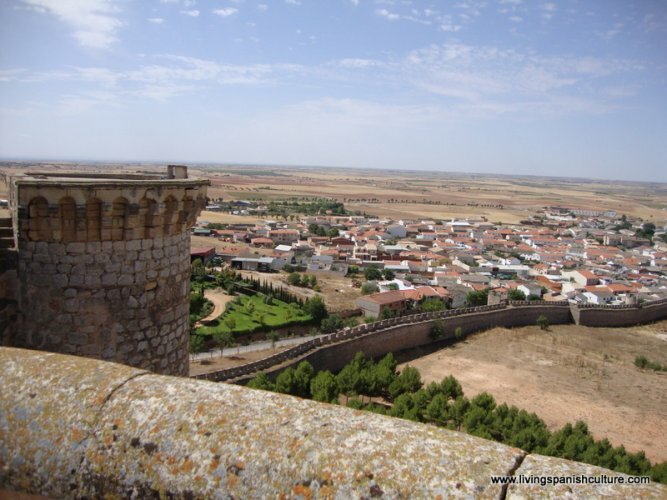 southeast of Madrid, province of Cuenca, Autonomous Community of Castile-La Mancha. 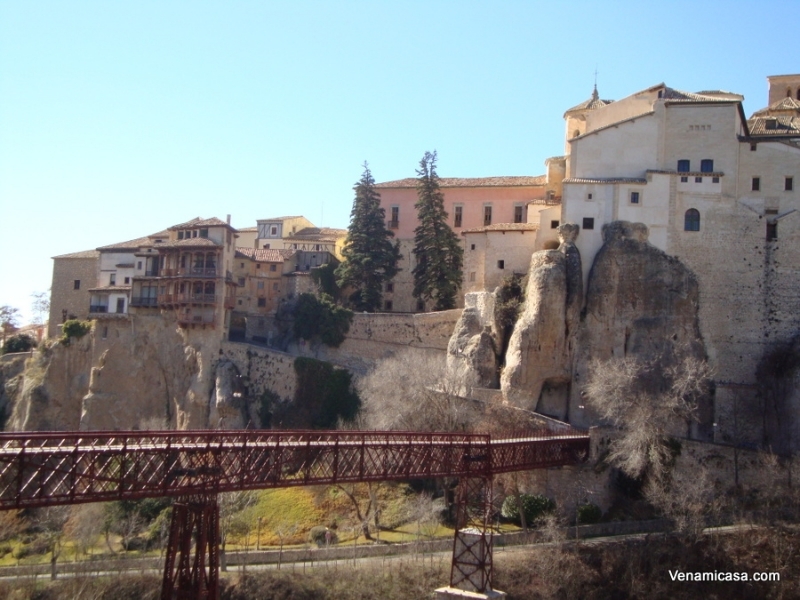 Located in a natural setting of beauty, the Old Town of Cuenca occupies a superb site between two river gorges. 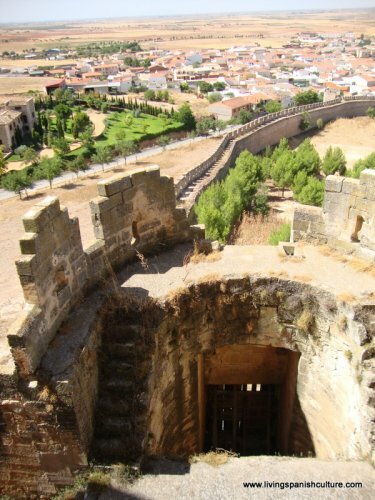 Built by the Moors in a defensive position at the heart of the Caliphate of Cordoba, Cuenca is an unusually well-preserved medieval fortified city. 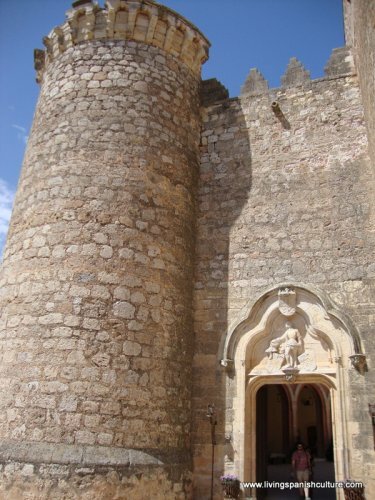 Conquered by the Castilians in the 12th century, it became a royal town and bishopric endowed with important buildings, such as Spain’s first Gothic cathedral, and the famous casas colgadas (hanging houses) 15th Century, that appear suspended over the cliffs edge overlooking the Huécar river. 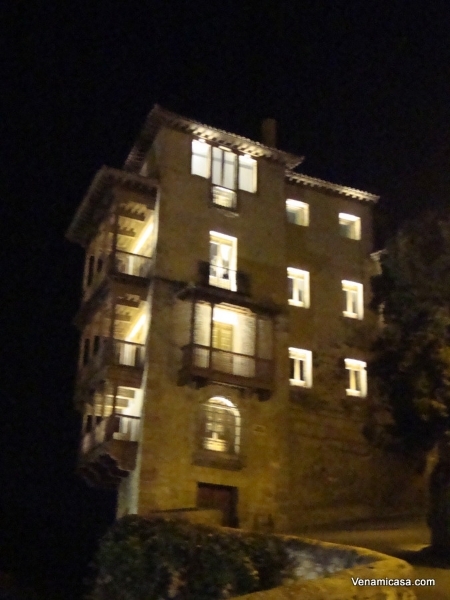 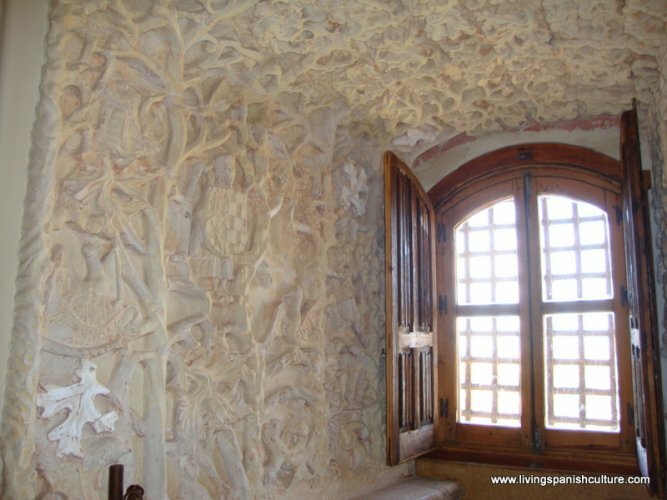 One of these houses the Museum of Spanish Abstract Art, the museum being one of the finest of its kind. 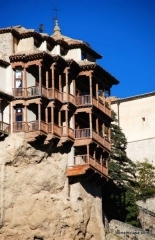 As a visitor to the museum’s gift shop, you can stand on the balcony and enjoy a personal view of the gorge. 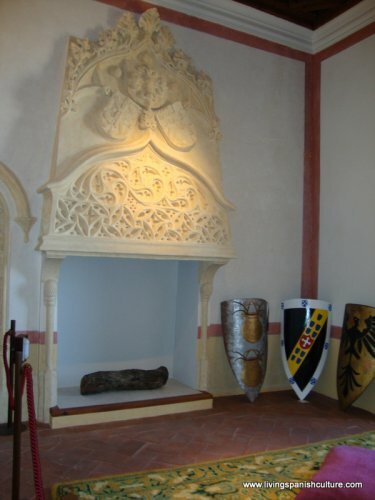 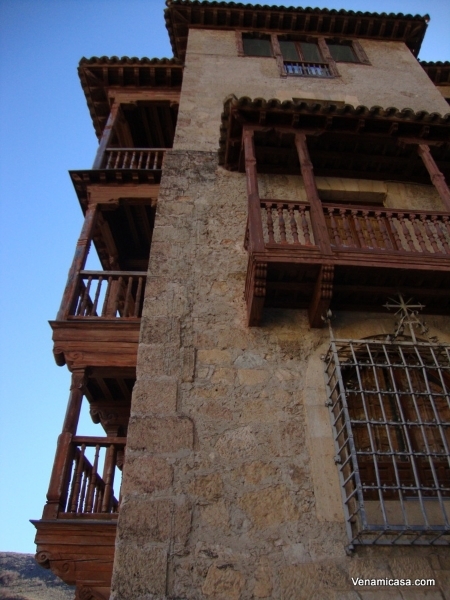 The building dates from the 1400’s AD. 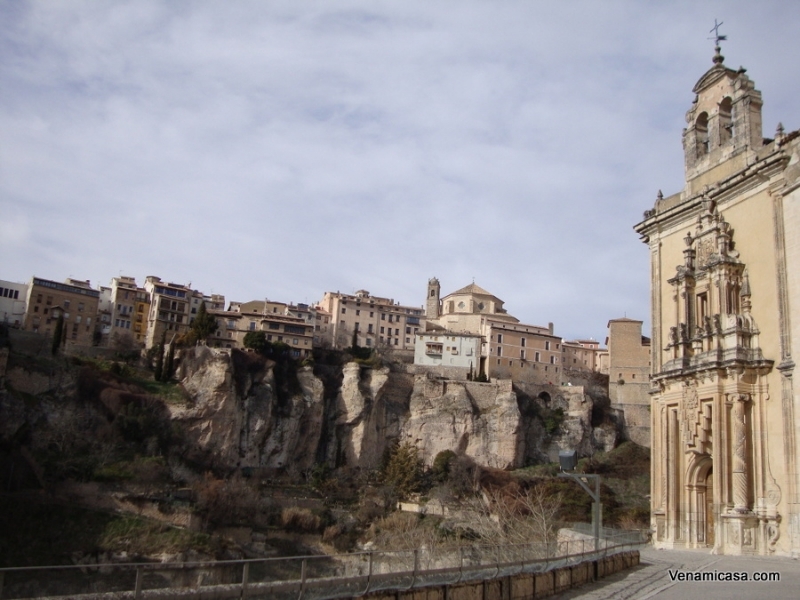 The Old Town of Cuenca is an exceptional example of the medieval fortress town that has preserved its original townscape intact. 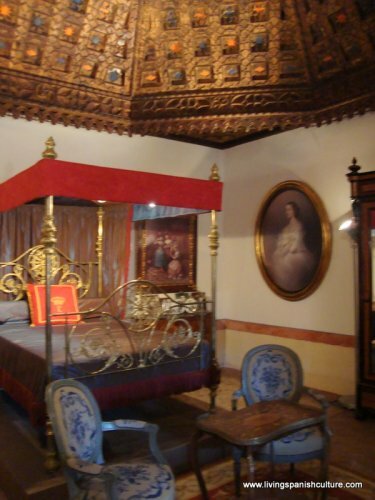 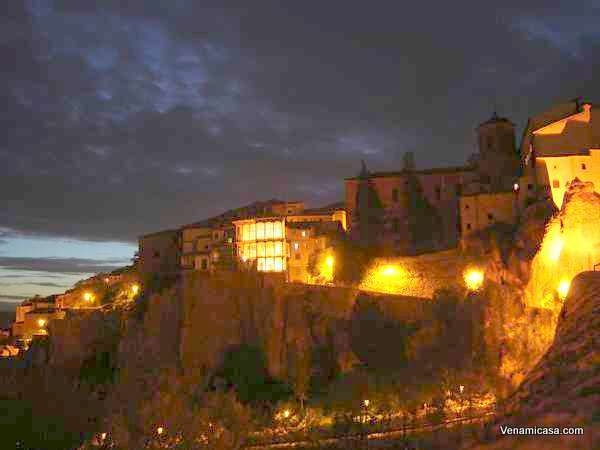 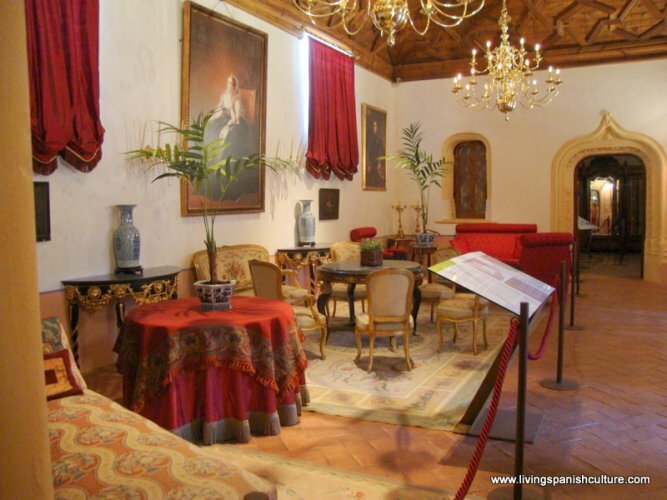 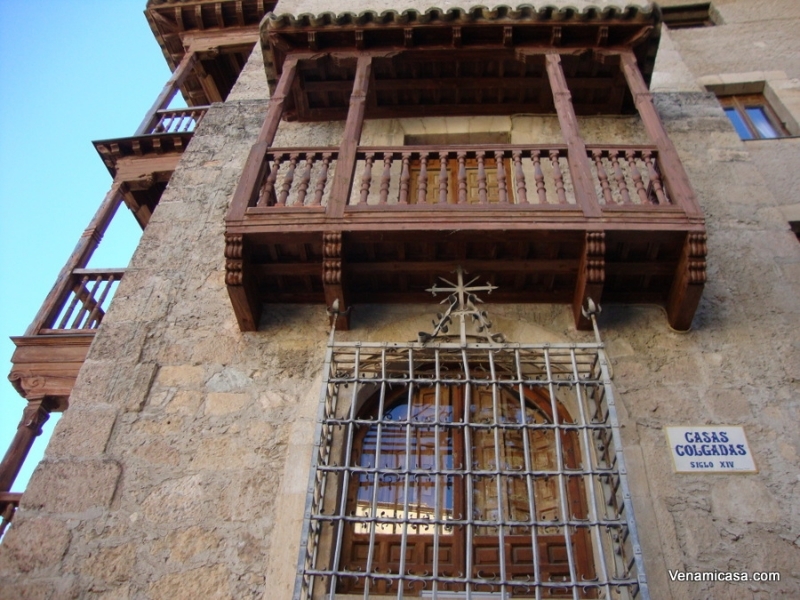 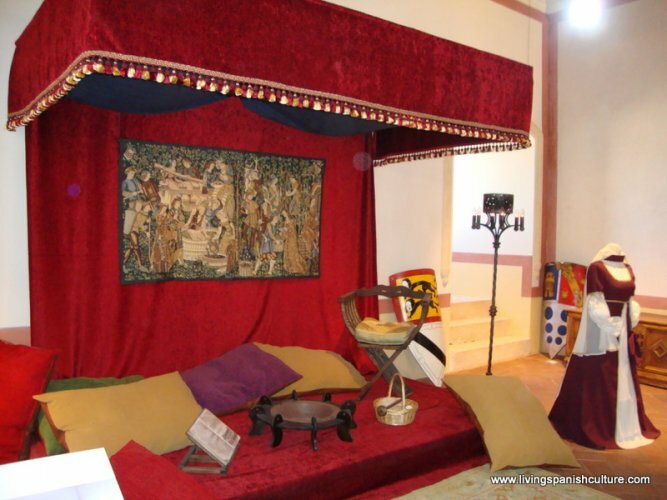 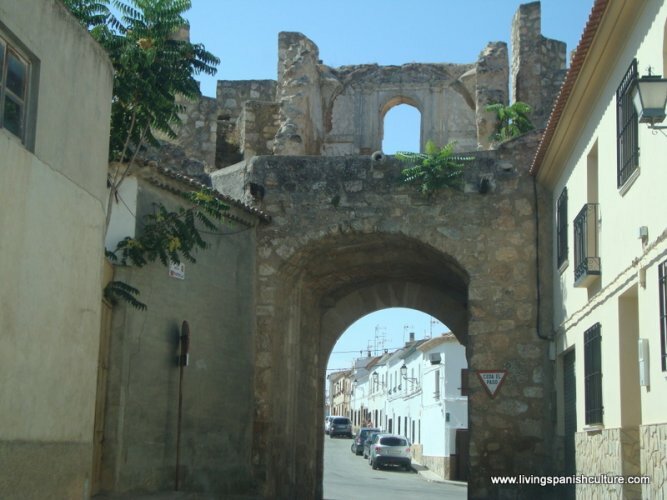 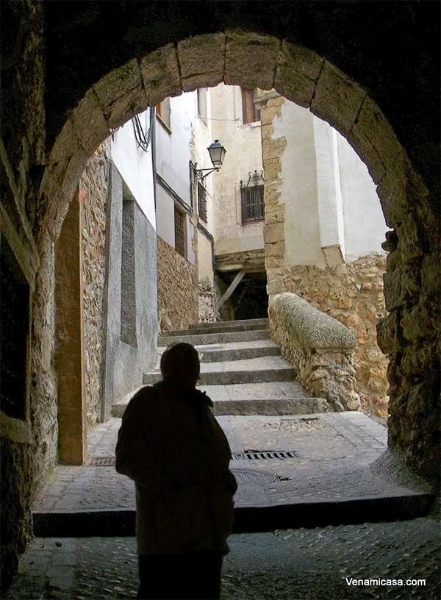 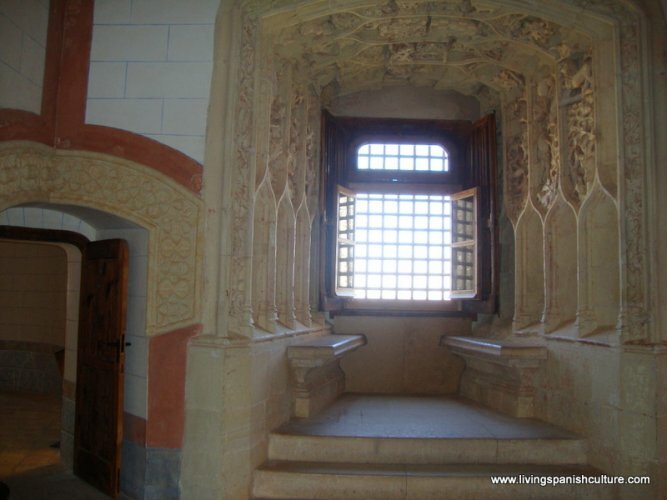 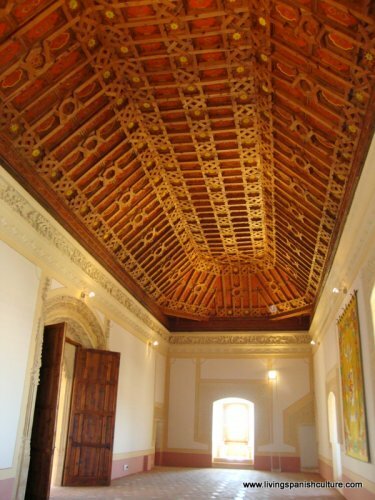 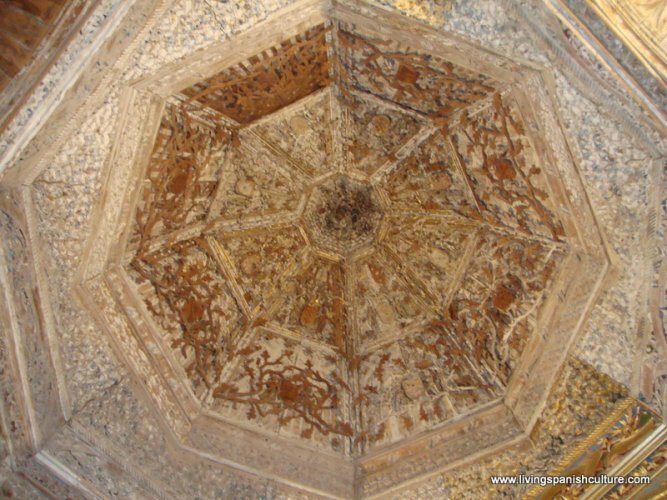 Cuenca is an ensemble, Islamic in origin, which reached its greatest splendour during the medieval and Renaissance centuries, when Cuenca had a leading place among the towns belonging to the Castilian crown. 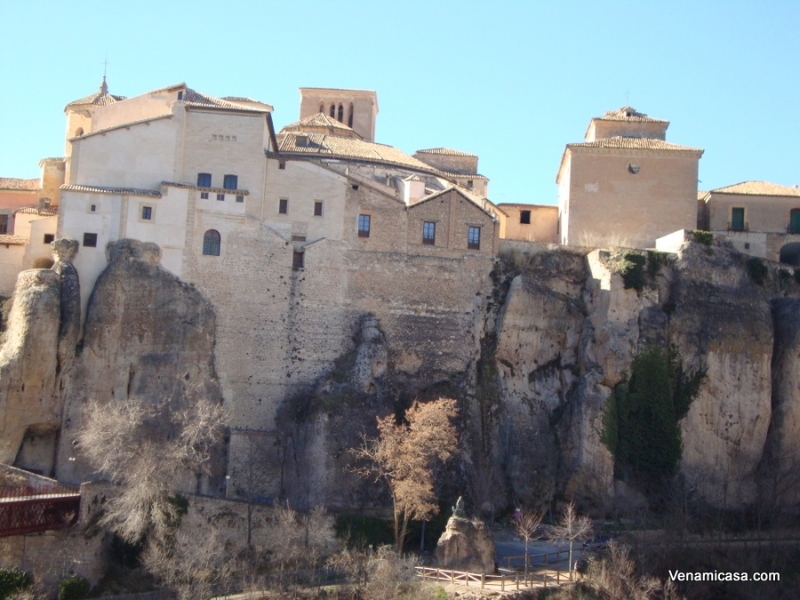 Cuenca is a ‘fortress town’ where the architecture conforms to the natural landscape, resulting in a cultural heritage of universal value. 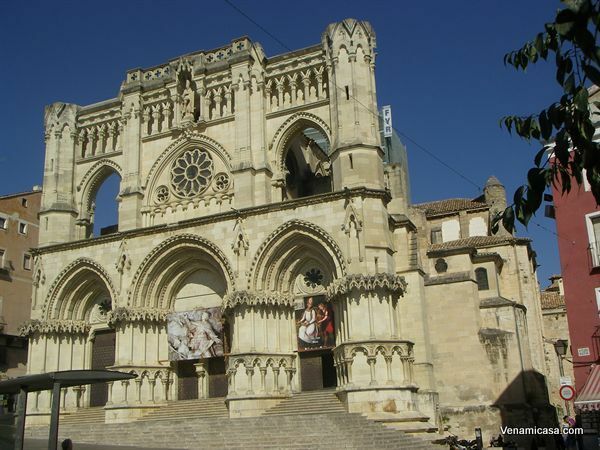 The city centre, remarkably beautiful, is presided over by a magnificent Gothic cathedral, the first’s Gothic cathedral. 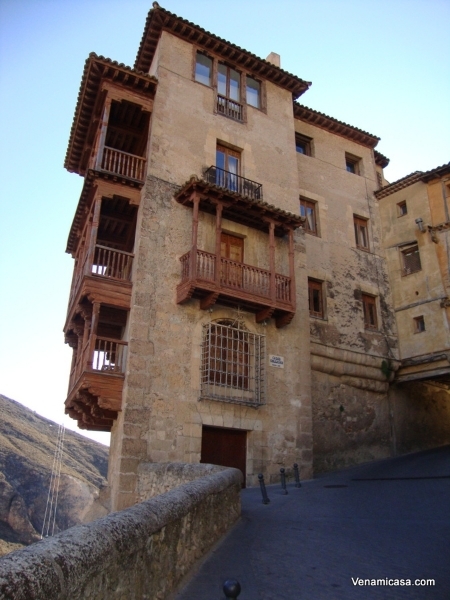 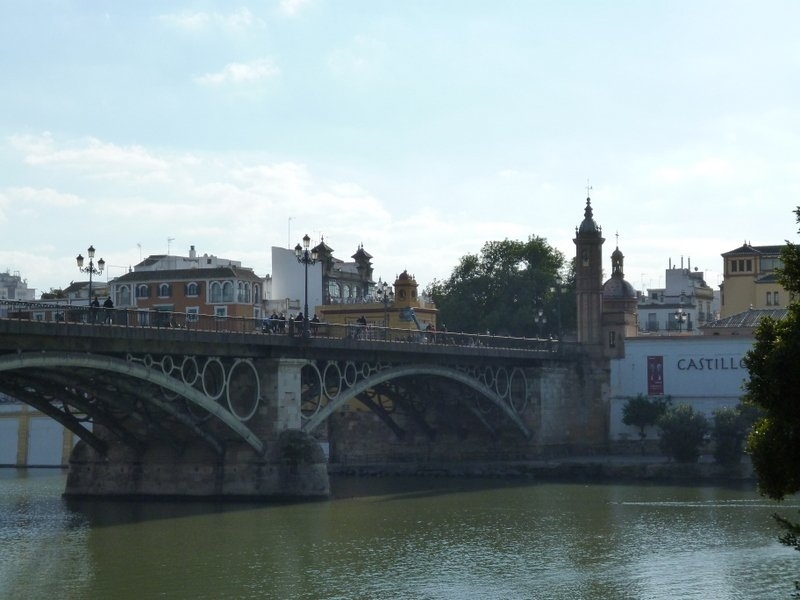 In the back end of the cathedral (near the “Museo de Arte Abstracto”) there is a pedestrian bridge that crosses the gorge. 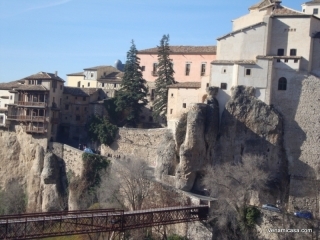 The bridge provides an excellent view of the hanging houses and gives one a real feeling of the depth of the gorge. 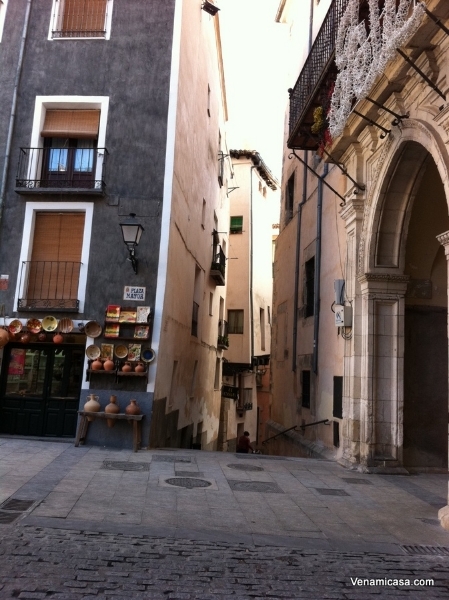 The old part of the city is hemmed in on three sides by a deep gorge carved out by two rivers. Along the cliffs of the gorge, a number of houses hang precariously on the edge. To the east of Cuenca is the Serranía de Cuenca massif with scenic valleys, gorges, and waterfalls. 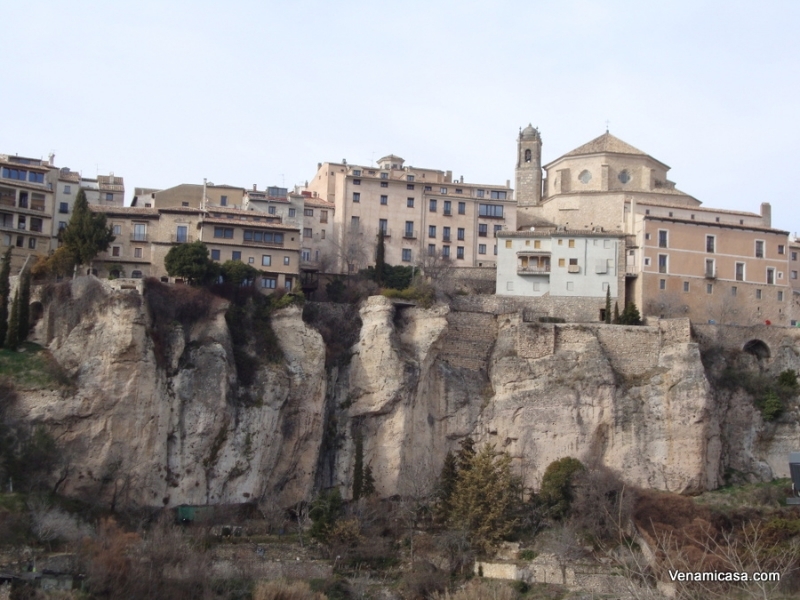 Here are an interesting group of rock formations known as ‘The Enchanted City’ (Ciudad Encantada).